When I was 24 years old I made my first business acquisition. We bought out a competitor who was much larger than our company. Our company had three employees and we bought a company out of bankruptcy that had 20 employees. The very first day we took over the new company one of the mechanics had an accident and hurt his back. The insurance company reserved (the amount of money the insurance company thinks they will spend) $250,000 for this accident. That meant that for all intents and purposes our experience rating acted like we had a $250,000 loss. When this happened I had no idea what this meant. I thought my insurance agent would take care of the workers' compensation and just went on running the company. A year later, I got a nasty surprise. Not only did my insurance agent not manage the loss, they never managed the merger of the company either. The insurance company acted like we had this loss with our three person company, not the 23 person company we became. The surprise became apparent when I got my bill for the year. Our insurance for workers compensation increased by over $20,000! This was a very big deal in 1978. Start with accidents that you have. Don’t be like me. If you have an accident in your company manage it from the first day. If you can get your employee back to work, do so. Better yet, put together a program that will help you not have accidents in the first place. You don’t want to have an employee out with injuries. You don’t want the cost of replacing the employee. You don’t want the cost associated with workers compensation. You want a healthy workforce. Make sure you focus on what provides a safe work environment. Never talk about what you don’t want. Only talk about what you do want. Your employees will only go towards what you’re telling them to do. Don’t get hurt gets translated to go out and get hurt. Make sure you audit your audit. If you run a company you know that every year you go through a workers' compensation audit. You have to audit the audit. In the twenty years I owned my vending company we never had a mistake in our favor. Every year there were mistakes and they always were in the favor of the insurance company. Employees were put into the wrong job classifications. They were always put in classifications that had higher insurance costs. Employees were not credited for overtime. Workers compensation is only supposed to be charged for straight time and overtime needs to be adjusted down. Math errors. We found that often the audit would just plainly be added incorrectly. Owners being included in the calculations. 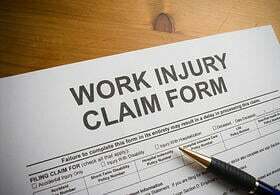 In many states owners are not allowed to collect workers compensation and aren’t supposed to be included in the calculations. Make sure accidents get settled. Accidents happen. You want to have a good accident prevention program. That’s the first step. The second step is to make sure you manage your losses. This means you want to make sure the insurance company doesn’t set aside too much money for the accident. Whether they spend the money or not, you get charged for the reserves they use. Make sure the accident gets settled. Insurance companies often delay settling the accident. If there is a big reserve you are charged that reserve while the case is open. If you can get the case closed, whatever is actually spent goes against your account. You’re likely going to have to fight with the insurance company to get these issues taken care of. Let’s face it; an insurance company wants to have you pay high premiums, especially if they don’t have losses against them. Prevention is the real cure. I talked about this already. It’s important enough to repeat. You want to keep your employees safe. It’s not only good for moral; it’s good for your bottom line. Workers' compensation is a manageable expense. It even pays for you to take the time to learn how it works. The payoff can be one that will make a difference. Good companies manage their workers compensation. They also review areas of their business that can be improved. I invite you to participate in our CoreValue initial review. You’ll be asked eighteen questions about your business. The review will give you some ideas of areas in your company you might want to focus.